The traditional giant puppet parade and four stages of entertainment enliven the event. Perfect weather persisted for the 45th Old Port Festival in downtown Portland on Sunday. 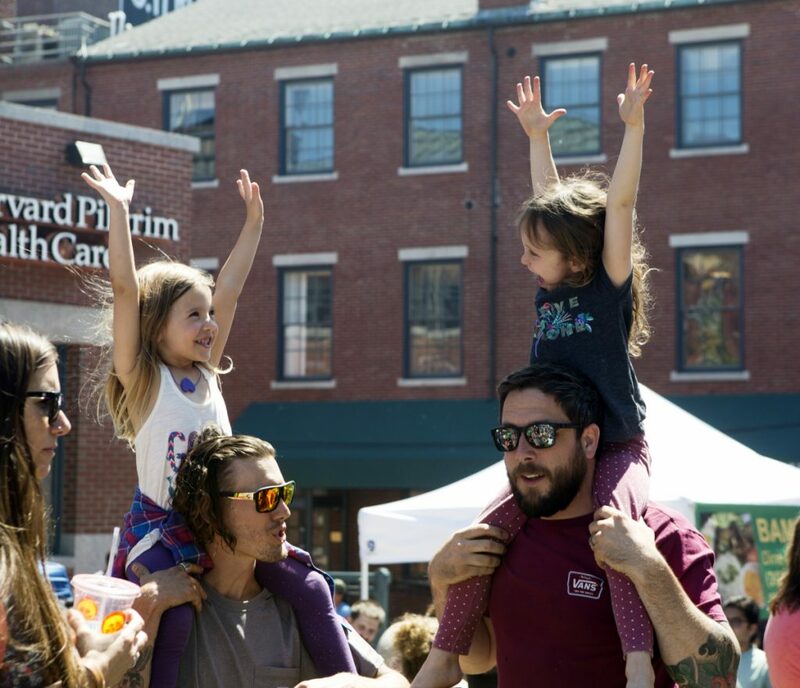 With sunny skies and temperatures in the high 60s, crowds descended on the Old Port district, an area roughly bounded by Maple, Commercial, Franklin and Federal streets. The free kickoff to summer included the traditional Shoestring Theater giant puppet parade down Exchange Street and four stages featuring children’s acts and music for all ages. More than 200 booths sold food and art and crafts. There also were rides and a new “touch a truck” display.